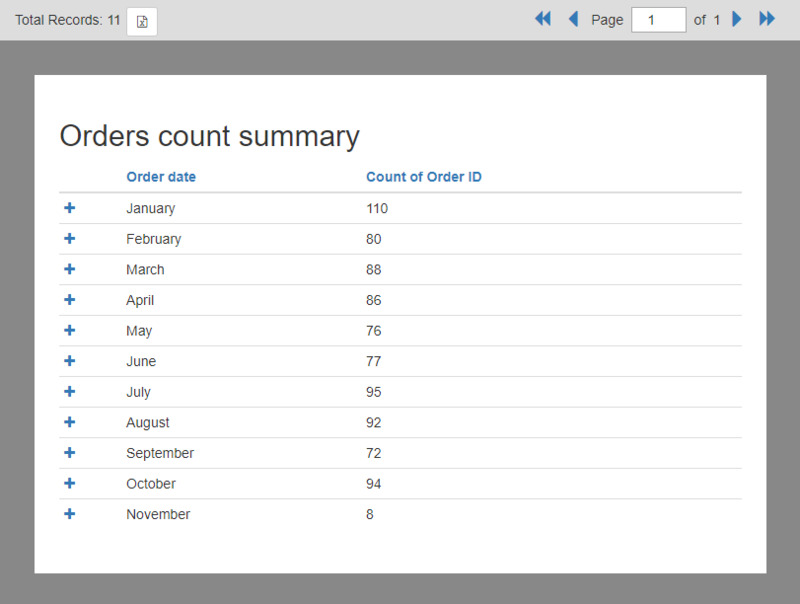 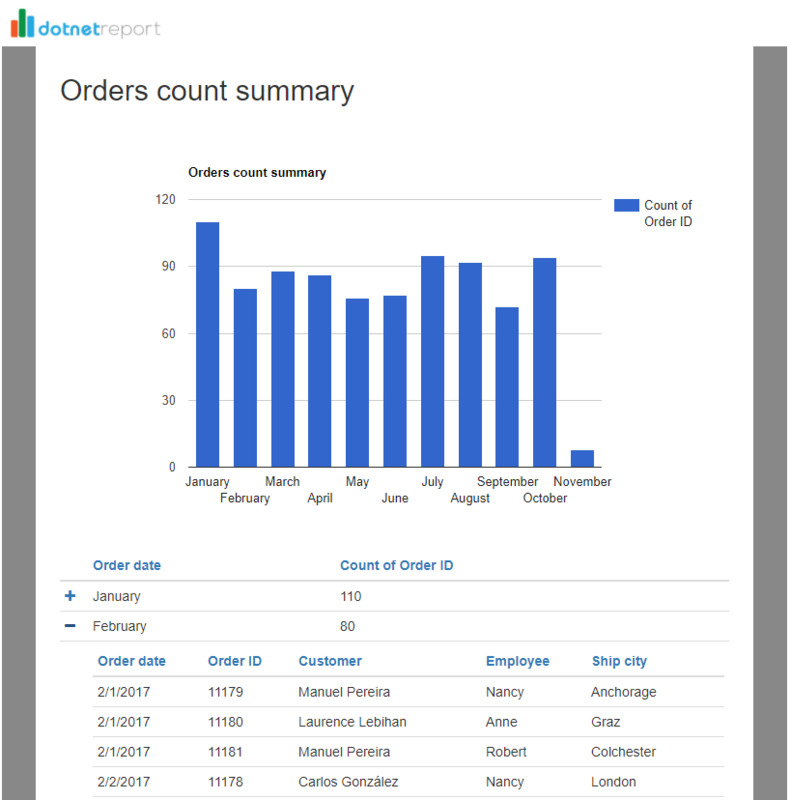 Creating Reports with detailed drill down data is a breeze with .Net Report Builder. 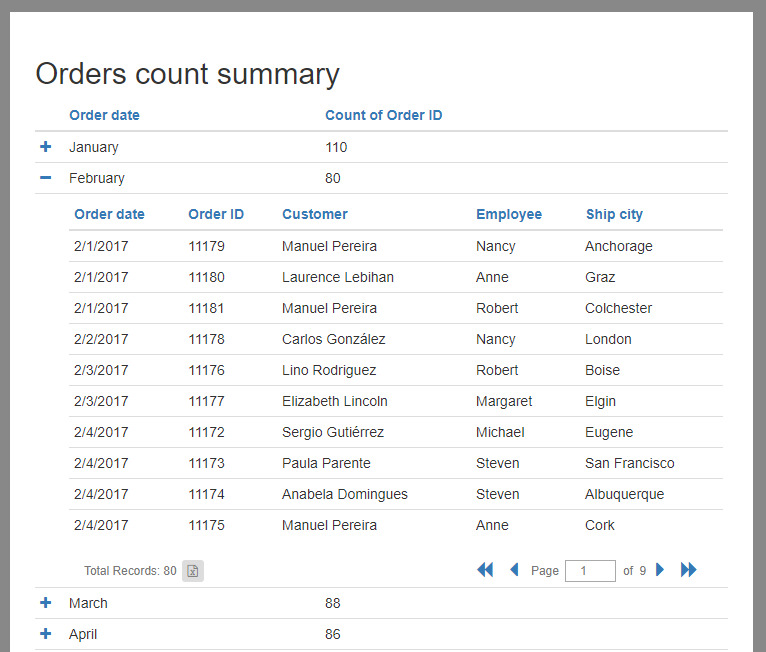 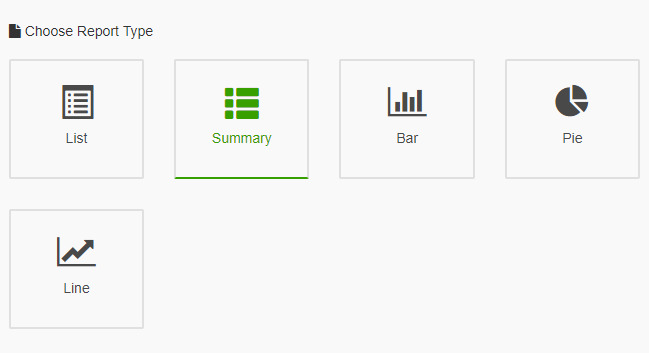 Any Summary or Chart Report that you create automatically gives you the option to expand and view details about each row that was included in the main summary record. 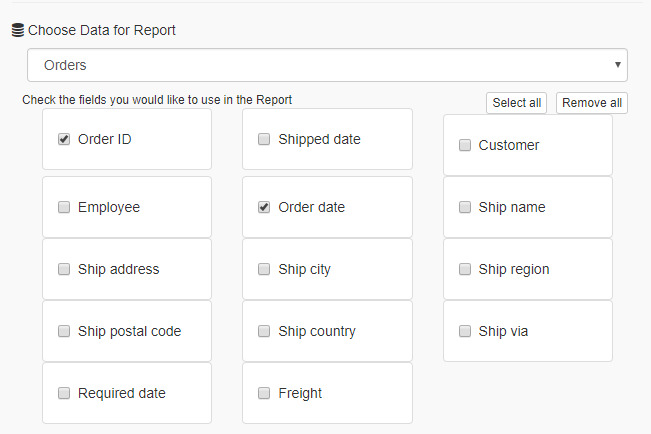 For this example, we will create an Orders Report with count of orders every month. 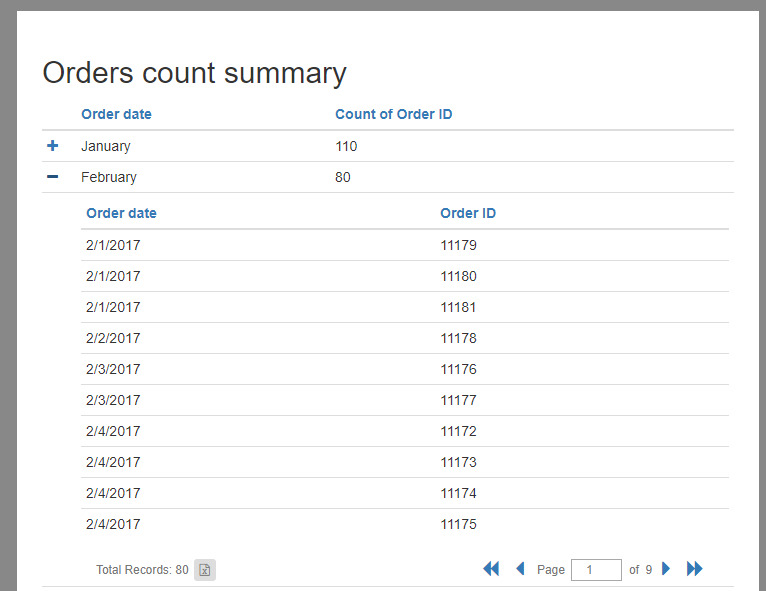 Note that this sub report is also paged, and you can browse through the pages to see all the records, or click on the Excel button to export all records to Excel. 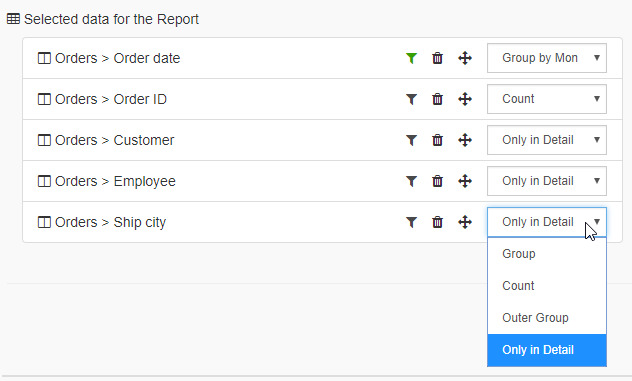 So this way, creating a complex report with a Detailed Drill Down Sub Report with .Net Report Builder is extremely easy.